The main characteristics of Magadhi Prakrit is to mutate ‘r’ into ‘s’, the ‘n’ for n, of ‘j’ for ‘y’, of ‘b’ for ‘y’ In the edicts of Ashoka the change of ‘r’ to ‘h’ is established. Mahavir and Buddha delivered their sermons in the eastern languages. The secular use of language came mainly from the east as will be evident from the Prakritpainglam, a comprehensive work on Prakrit and Apabhramsa-Avahatta poetry. Jyotirishwar mentions Lorika. Vachaspati II in his Tattvachintamani and Vidyapati in his Danavakyavali have profusely used typical Maithili words of daily use. The Maithili script, Mithilakshara or Tirhuta as it is popularly known, is of a great antiquity.. The Lalitavistara mentions the Vaidehi script. Early in the latter half of the seventh century A. D., we find a marked change in the north-eastern alphabet and the inscriptions of Adityasena exhibit this change for the first time and hence forward the eastern variety develops by itself and becomes the Maithili script—a script which ultimately comes into use in Assam, Bengal and Nepal. The earliest recorded epigraphic evidence of the script is to be found in the Mandar Hill Stone inscriptions of Adityasena (c. 7th century A. D.), now fixed in the Baidyanath temple, Deoghar. The Kamrupa dialect was originally a variety of eastern Maithili and it was, no doubt, the spoken Aryan language throughout the kingdom which then included the whole of Assam valley and whole of North Bengal with the addition of the district of Purnea. The language of the Buddhist Dohas is described as belonging to the mixed Maithili—Kamrupi language. Modern Maithili came into its own after Sir George Abraham Grierson, an Irish linguist and civil servant, tirelessly researched Maithili folklore and transcribed its grammar. Paul R. Brass wrote that "Grierson judged that Maithili and its dialects could fairly be characterized as the language of the entire population of Darbhanga and Madhubani districts and of a majority or a significant minority of the populations of Muzaffarpur, Monghyer, Purnia and Santhal Parganas." In April 2010 a translation of the New Testament into Maithili was published by the Bible Society of India under joint copyright with Wycliffe Bible Translators. The development of Maithili in modern era was due to various magazines and journals. Some notable journals, which led to the resurgence in modern writing, are Maithil Hit Sadhana (Jaipur,1905), Mithila Moda (Varanasi, 1905), Mithila Mihir (Darbhanga and Patna—), ShriMaithili (Laheriasarai—), Mithila (Laheriasarai—), Maithila Bandhu (Ajmer—), Bharati (Laheriasarai—), Bibhuti (Muzaffarpur—) Sahitya Patra (Darbhanga—)Vaidehi (Kasi-) (Sitamarhi—)(Darbhanga—), Satyasandesha (Kasi—), Swadesha(Darbhanga—), Maithila Jyoti (Patna—), Mithilascvaka (Calcutta—), Mithila Darshan (again Maithili Darsana and now again Mithila Darshan) (Calcutta—), Chaupadi (Patna—), Mithila (Darbhanga—), Pallava (Nehra), Abhivyanjana (Patna,Saharsa), Dainik Swadesha (Darbhanga), Sanjiwani (Laheriasarai), Akhar (Calcutta), Mithilabani (Darbhanga—), Mithila Mitra (Sultanganj), Tatka (Jamshedpur), Batuk (Allahabad), Dhiyaputa (Lohna), Sishu (Darbhanga), Ijot (Darbhanga), Janak (Darbhanga)Nirman (Laheriasarai) Matribani (Tharhi)Matribani (Darbhanga)Nutan Vishwa (Laheriasarai), Maithili Samachar (Allahabad), Mithila Amar(Aligarh), Mithila Doot (Kanpur), Mithili Alok (Ferozabad), Sonamatl (Patna), Swadeshvani (Deoghar), Anama (Patna), Sannipata (Patna), Maithili (Biratnagar), Foolpat (Kathmandu), Agnipatra (Calcutta), Maithili Prakash (Calcutta), Mithila Bharati (Patna), Apan Desha (Laheriasarai), Mithila Bhumi (Latheriasari), Mithila Times (Darbhanga), Changur (Saharsa), Sakti Bhumi Maithili Kavita (Calcutta), Ego Rahathi Raja Lai Dhuan (Shivanagar), Bhumhar (Laheriasarai), Shikha (Calcutta), Mahur Darbhanga), LokemanchFarak (Patna), Karnamrit (Calcutta), Desil Bayana (Calcutta), Desh kosh (Calcutta), Aarumbha (Patna), Matipani (Patna), Videha ejournal, Videha-Sadeha (Delhi), Antika (Ghaziabad), Mithila srijan (Madhubani), Samay saal (Patna), Ghar Bahar (Patna), Vidyapati Times (Darbhanga), Gamghar (Janakpur), Purvottar Maithil (Guwahati, Assam, by Satyanand pathak), Purvottar Maithil samaj (Guwahati, Assam), Hilkor (Khagaria), Dachhin Mithila (Begusarai), Maithili Sandesh(Ranchi,1994),Mithila Samad (Daily Newspaper,Kolkata, 31st Aug 2008 to till date). Upendra Nath Jha “Vyas” (1917–2002), an engineer by profession, “Doo Patra”, his most famous work, exhibited the goods and the evils of the Maithili society. 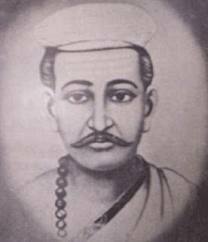 Kavishwar Chanda Jha was famous as "Kavichandra", he wrote Ramayan in Maithili (Mithila bhasha Ramayan), Geeti Sudha, Maheshvani Samgraha, Chandra Padavali, Laxmishwar Vilas, Ahilya Charit and he translated from Samskritham into Maithili the Purush ParikSha of Vidyapati. Mahakavi Laldas wrote Rameshwar Charit Ramayan, strishiksha, savitri satyavan, chandi charit and virudavali. Some modern Maithili writers and their works are: *Dhirendra (Bhorukba, Kado Aa Koila), *Sudhansu Sekhar Chaudhary (Tarpatta upper Patta, E Bataha Sansar), *Somadeva (Hotel Anarkali/Chano Dai), *Manipadma (Vidyapati, Ardhanariswara, Raja Salhesa, Lorika Vijaya, Naika-Banjara, winner of Akademy award, Dulara Dayal, Kobra Girl, Kanki, Analapatha), *Prabhas Kumar Choudhary (Abhispta/ Yugapurusha/ Hamara Lag Rahab), *Jivakant (Du Kuhesa Ka Bat, Panipata, Aginaban, Piar Gulab Chhal, Nahi, Katahu Nahi), Ramanand Renu (Dudh-Phool ), *Lalit (Prithviputra), Raj Kamal (Andolana), *Mayanand Mishra (Khota Aa Chirai), *Shashikant (Girahkatta, Akasadeepa), *Trilokanath Mishra (Ranjana), *Bindeshwar Mandal (Bat Ka Bhent, Jindagi Ka Genth), *Gangesa Gunjan (Appana Loka), *Gauri Mishra (Chingi), *Laliteshwar Mallik (Dain), *Gajendra Thakur (Sahasrabadhani, Sahasrashirsha, Sahasrabdik Chaupar Par, Tvanchahanch, Asanjati Man,Sankarshan), *Jagdish Prasad Mandal (Gamak Jingi), *Kalikant Jha Buch (Kalanidhi), *RasBihari Lal das (Sumati), *Nachiketa (No Etry :maa pravish, pratyavartan), *Bechan Thakur (Betik Apman aa Chhinardevi), *Umesh Mandal (Nistuki), *Shankardeo Jha (Sandhi samas), *Ravi Bhushan Pathak (Rehearshal), *Shiv Kumar Jha (Anshu, Kshanprabha), *Preeti Thakur (Gonu Jha aa aan Maithili Chitrakatha,Maithili Chitrakatha, Mithilak Lokdevta), *Devanshu Vatsha (Natasha), *Subhash Chandra Yadava (Ghardekhia, Banait-Bigrait), *Kedarnath Chaudhary (Chamelirani), *Dhoomketu (Mor par), *Saketanand (Sarvashvant), *Vibha Rani (Bhagrau aa Balchanda), *Taranand viyogi (Tumi chir sarathi, Karmdharay, Pralaya Rahasya), *Narendra Jha (Vikas o Arthatantra), *Panna Jha (Anubhuti), *Vinit Utpal (Ham Puchhait Chhi), *Jyoti Sunit Chaudhary (Archis), *Nagendra Kumar (Sasarphani), *Prabodh Narayan Singh (Hathik daant), *Gopalji Jha Gopesh (Makhanak paat, Gumma Bhel tharh chhi), *DeoShankar navin (Aadhunik Sahityak Paridrishya), *Satyanand Pathak (Hamar Gaam), *Madaneshwar Mishra (Ek Chhalih Maharani), *Brikhesh Chandra Lal (Malha). Vidyapati's poetry was widely influential in centuries to come, in the Hindustani as well as Bengali and other Eastern literary traditions. Indeed, the language at the time of Vidyapati, the prakrit-derived late abahatta, had just began to transition into early versions of the Eastern languages, Maithili, Bengali, Oriya, etc. Vidyapati is as much known for his love-lyrics as for his poetry dedicated to Lord Shiva. His language is closest to Maithili, the language spoken around Mithila (a region in the north Bihar and region surrounding Janakpur in Nepal), closely related to the abahattha form of early Bengali. The love songs of Vidyapati, which describe the sensuous love story of Radha and Krishna, follow a long line of Vaishnav love poetry, popular in Eastern India, and include much celebrated poetry such as Jayadeva's Gita Govinda of the 12th century. This tradition which uses the language of physical love to describe spiritual love, was a reflection of a key turn in Hinduism, initiated by Ramanuja in the 11th century which advocated an individual self realization through direct love. Similar to the reformation in Christianity, this movement empowered the common man to realize God directly, without the intervention of learned priests. Part of the transformation was also a shift to local languages as opposed to the formal Sanskrit of the religious texts. The songs he wrote as prayers to Lord Shiva are still sung in Mithila and form a rich tradition of sweet and lovely folk songs. Folklore says that he was such a great devotee of Lord Shiva that the lord was really pleased with him. And once He decided to come to live in his house as a servant. As the servant He is said to have taken the name Ugna. At several places in the region, Lord Shiva is still worshipped by this name. It is said that the lord in form of servant had imposed a condition on Vidyapati that he could not disclose his identity to anyone else or else he would go away. When Vidyapati's wife was angry at her servant and started to beat him Vidyapati could not tolerate the same and asked his wife not to beat Lord Shiva himself and since then the lord disappeared and never was he seen again.According to the local legend, Vidyapati was an ardent devotee of Shiva. He composed several songs in the form of Nacharis and Maheshbanis to please the Lord. Impressed with the devotion and poetic creativity of the poet, Lord Shiva came to him in a disguised form of a cowherd boy called Ugna. Ugna requested the poet that as he was an orphan boy he wanted to work in his house as his servant. With a little hesitation, the poet assigned him the job of looking after his cattle. Ugna became a very charming and affectionate servant to the poet within a very short period. One day, Vidyapati received an invitation to participate in a royal function of the king of Mithila, Shivasimha. He took Ugna with him and they left for the king’s capital. On the way the poet became very thirsty but it was a huge barren land where he saw no drops of water. The helpless poet finally requested Ugna to bring some water. Ugna too showed his inability to bring the water and requested him to travel some more distance, but Vidyapati refused to walk further and became unconscious. He fell on the ground. Now, Ugna, who was none but Lord Shiva himself, took out a jug of water from his matted hair (jata), revived him to consciousness and gave the poet water to drink. The poet felt the taste of Ganga-water and immediately asked Ugna wherefrom he had brought it. Ugna tried to make some false story but failed to do so. He wanted to keep it a secret and that’s why he avoided deliberately the poet’s query, but as Ugna wanted to avoid it, the poet’s curiosity increased. Finally, he appeared as Shiva, in his original form, before the poet. Vidyapati touched his feet and took the dust of Ugna’s feet into his hands. Ugna now warned him not to disclose the secret before anybody including the poet’s wife Sushila. Vidyapati assured Ugna to keep this secret with him. According to the local legend, Vidyapati was an ardent devotee of Shiva. He composed several songs in the form of Nacharis and Maheshbanis to please the Lord. 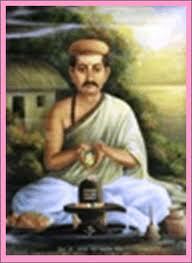 Ugna remained with Vidyapati for many years and helped him miraculously in many critical situations. For instance, when Shivasimha was arrested by Emperor Allaudin Khilji of Delhi, Vidyapati accompanied by Ugna, came to Delhi to get him released. Knowing that Vidyapati was a poet, Allaudin arranged a scholarly debate between Vidyapati and his own court-poet. Vidyapati was told to respond either in Persian or a mixed language alone. The poet with the heavenly blessings of Ugna defeated the Sultan’s poet and responded in poetry he had composed in the prescribed languages. Not only that, with the blessings of Ugna he got rid of many obstacles created by the Sultan and his men at Delhi and finally succeeded in getting his king released from the prison of Sultan. Now the story takes a very sad turn. Once, the wife of Vidyapati assigned some domestic responsibility to Ugna, which he failed to deliver according to her given instructions. She became angry with him and started beating him with a broom. This erratic behaviour of Sushila made Vidyapati frustrated that Shiva, of whom he was a great devotee, should be abused and humiliated. He could not control himself and shouted, “Stop! What the hell are you doing? Ugna is none else but Lord Shiva.” It is said, that very moment Ugna disappeared from there. Now Vidyapati realised his mistake. He left his house and wandered through many temples, rivers and jungles in search of Ugna. Finally, Vidyapati found Ugna in Nandanvana. Shiva told him that he would not go back to his house but would help him whenever required. The place where Ugna appeared before the poet as God is known as Ugnaasthan. A small lingam was enshrined by the local devotees. Recently a temple has been made for that lingam. This story is known to each and every person of this region. For them it is history. Even today they worship Lord Shiva while singing the devotional songs of Vidyapati to please him. Puruṣa Parīkṣā deals with moral teachings.Recently Publications Division of Government of India has brought out the Hindi Translation of Purusha Pariksha by Akhilesh Jha. There are 25 stories in the book selected from 44 stories in the original work. Besides, there are scholarly introductions to both Vidyapati and Purusha Pariksha in the book. The influence of the lyrics of Vidyapati on the love of Radha and Krishna on the Bengali poets of the medieval period was so overwhelming that they largely imitated it. As a result, an artificial literary language, known as Brajabuli was developed in the sixteenth century. Brajabuli is basically Maithili (as prevalent during the medieval period) but its forms are modified to look like Bengali. The medieval Bengali poets, Gobindadas Kabiraj, Jnandas, Balaramdas and Narottamdas composed their padas (poems) in this language. Rabindranath Tagore composed his Bhanusingha Thakurer Padabali (1884) in a mix of Western Hindi (Braj Bhasha) and archaic Bengali and named the language Brajabuli as an imitation of Vidyapati (he initially promoted these lyrics as those of a newly discovered poet, Bhanusingha). Other 19th century figures in the Bengal Renaissance like Bankim Chandra Chatterjee have also written in the Brajabuli. Vidyapati's influence reached Orissa through Bengal. The earliest composition in Brajabuli is ascribed to Ramananda Raya, the governor of Godavari province of the King of Orissa, Gajapati Prataprudra Dev. He was a disciple of Chaitanya Mahaprabhu. He recited his Brajabuli poems to Chaitanya Mahaprabhu, when he first met him on the bank of river Godavari at Rajahmundry, southern provincial capital of Kingdom of Orissa in 1511-12. Other notable Oriya poets influenced by Vidyapati's poems were Champati Ray and king Pratap Malla Dev (1504–32). DOWNLOAD VIDYAPATI THAKUR 31 POEM IN ENGLISH.